I came across Mondelez International, Inc. (Mondelez) when I was preparing an earlier Instagram post for The Capital Pink on the popularity of Oreo cookies. I looked briefly into the company behind this famous cookie – Mondelez International, Inc. As one of the world’s largest snack companies, I knew I wanted to look further into it as I love snacking and snack foods! What are the trends generally for the food snack category? The Nielsen Company research finds that snacks are actually a growing worldwide category, particularly in developing countries. Interestingly though, consumers are spending more on snacks and not necessarily buying more snacks. This has helped the snacking business to grow by $3.4 billion globally in 2017. Emerging markets are increasingly interested in snack foods which suggests that these consumers have moved beyond simply being able to afford necessities. As is the case with most food categories, people are demanding quality, clean eating food and the snack category is no different. Healthier food choices generally are growing across categories. This will definitely prove to be one of the largest challenges for a company like Mondelez as snacking continues to change its look permanently. The question of where and how Mondelez can continue to grow is a big one given its core brands remain, more or less, of the sweet and salty variety. · As stated many times on this site, I, nor ZSM Creative Inc. operating as The Capital Pink, are financial advisors and have no financial accreditations. I am applying some basic evaluation tools to this stock along with some commentary, but this should only serve as a starter for your further research. The information below is only current to the day this post was written which may or may not be the same day as this post was published so please update the ratios and numbers to the current day before relying on them as they may have significantly changed (see How Do I Evaluate a Stock? (Part One) for information on where to find the ratios and numbers online). Please read my Legal Disclaimer. Also, I do not own Mondelez International, Inc. stock and am not affiliated with them in any manner. Mondelez is a major, multinational snack food company with net revenues in 2017 of approximately $26 billion. It manufacturers and markets food and beverages to consumers in approximately 160 countries in the world. It is No. 1 globally for biscuits and candy and No. 2 for chocolate and gum. Biscuits (cookies) make up 42% of sales with Europe making up 38% of overall sales. Below is a listing of its “Billion dollar brands” which represent a significant portion of its net revenues. These brands bring in over a billion dollars in revenues. That is actually quite amazing! Mondelez is a member of the S&P 500, Nasdaq 100 indices and the Dow Jones World Sustainability Index. Its Impact for Growth plan is focused on these four tenets: 1. Well-being snacks – focus on growing 10 of its well-being brands at twice the rate of the base portfolio, renovating the Power Brands to make them more relevant and delivering 15% of revenue from the portion control options; 2. Safety of employees, consumers and products; 3. Sustainability – working in the areas of cocoa, wheat and palm oil including making its snacks with less energy, water and waste and 4. Investing $50 million over the next several years to help the communities where it operates. · Organic net revenue growth remains quite small at 0.9% in 2017 (this alludes to the discussion above as to where further growth is going to come from given shifting consumer trends). What is Mondelez stock doing? One share of Mondelez would cost $41.30USD. The price over the past 52 weeks has ranged from $37.42 to $46.54. So, it is trading close to the middle of that range. Recall this is the stock price divided by the earnings per share. If the P/E is high, you should expect to get some growth for having paid a bit more for the stock however, it could indicate the stock is overvalued. The Index P/E is 20.36 so Mondelez is trading close to this index P/E. This indicates, as suspected, that Mondelez is not expected to have crazy growth on par with an emerging tech company for example. Dividend paying stocks are something many investors look to buy as they are like an interest rate on your shares. Dividend payouts are discretionary. Dividend yield represents the amount the company pays out in dividends relative to its share price. While a higher dividend yield is usually more desirable, you still need to consider the health of the underlying company before making a generalization either way. Increasing revenue is a good sign that the company is growing. Mondelez’s revenue has actually been decreasing since 2008. This likely coincides with the continued changing preferences of consumers when it comes to snack foods. Mondelez is heavy on the tradtional sugar and salty snack foods which has no doubt hurts its revenue over the past 10 years. The TTM revenue to date is slight up however from 2017. ROE tells you what sort of return the company is getting on the shareholders money. An increasing ROE is a good sign. Mondelez has bounced around on this metric but overall, 12.40% is a decent ROE. Recall that small cap stocks usually have the most room for growth as opposed to large, established, stable large cap companies and medium fall somewhere in the middle. 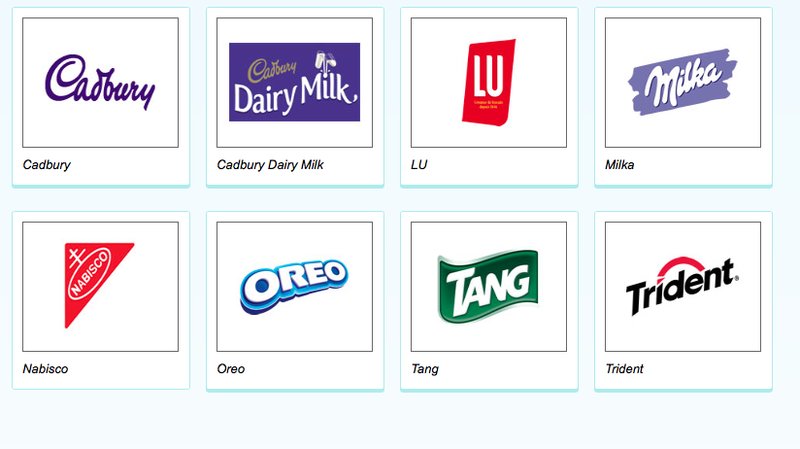 Mondelez would be a large cap stock. This ratio tells us what profit is left over after the company pays its expenses for the year. The more money it keeps, the better. High net profit margins mean that a company is good at keeping profit after expenses are paid, which may mean they are adept at keeping their expenses down. It is a good idea to compare these over an industry to see what companies are good at operating and maintaining a high net profit margin. This net margin is relatively high compared to other companies we have analyzed. This ratio should be considered along with the EPS figure for a better picture of the company’s health as there should not be a wide discrepancy between the two figures. If there are large variances between those numbers, you may want to consider if there were large, non-recurring one-time items that account for the large variance. It is also wise to look at a company’s cash flow picture in the long term as that should take into account one-time, large capital expenditures (money spent by a company to buy or maintain an asset like land, buildings or equipment, i.e. “fixed assets”) that required large amounts of cash. A low free cash flow per share could also mean the company is earning less profit. This ratio compares the total market value of the company with its sales revenues. There is not a great deal of manipulation a company can do with its sales data, so this can be a good indicator of how well the company is doing. Recall that a lower ratio relative to its peers in the industry can indicate a potentially good investment opportunity. Morningstar indicates the index is 2.07 and unfortunately, we do not have the comparison data. This compares the stock price with how much the stock would be worth if the company was liquidated or sold off. It is the value of the stock in comparison to the underlying assets of the company. Thus, a low P/B relative to the stock price suggests you are not paying too much for what would be left over after such a sell off. Morningstar states that the index for P/B is 3.03. Having cash left over after expenses are paid off is crucial to remaining in business so this is a good indicator about the health of a company. Generally lower is better as it could indicate the company is obtaining large cash flows not yet reflected in the stock price. Morningstar indicates the index is 13.60. The above analysis points to what one would expect - Mondelez is a stable, low growth company that will have to continue to adapt to changing consumer trends in the snack industry to experience any sort of growth. Fortunately, its Impact for Growth plan is attuned to these issues and let's be honest, chocolates, cookies and Sour Patch Kids are always going to be popular! They are not leaving my diet anytime soon!